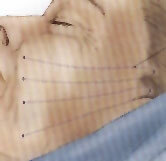 Thread Lift is a non-surgical procedure to achieve a “lift effect” on the face and neck. 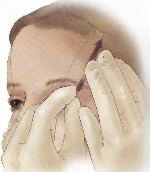 We indicate it to patients who look for a noticeable facial rejuvenation, yet avoiding going under the knife. The threads are colorless non-absorbable polypropylene fibers, with barbes that anchor to the tissues to suspend them in a higher position. Local anesthesia is used. A light sedative can be provided too, to bring greater comfort to the patient. 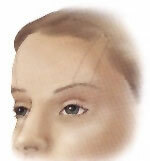 The procedure is performed completely on ambulatory basis and there are no contraindications known. We frequently associate Threadlift to other non-surgical techniques such as Botox ®, facial fillers, microdermabrasion or IPL / laser, to obtain a superior aesthetic result. It is possible as well to use these suspension threads to complement a facelift surgery, necklift surgery, mini-lift, eyelids surgery; for an even greater rejuvenation effect. Dr. Pol is one of the argentinian plastic surgeons who completed the training course (year 2006), thus he is certified to use Countour Threads®, american threads and the only ones approved by the F.D.A..